White Oak Technology Group has developed well over 1000 unique websites and web applications. Here are a few of the clients that we developed and host solutions for. Call us to discuss your solution today. 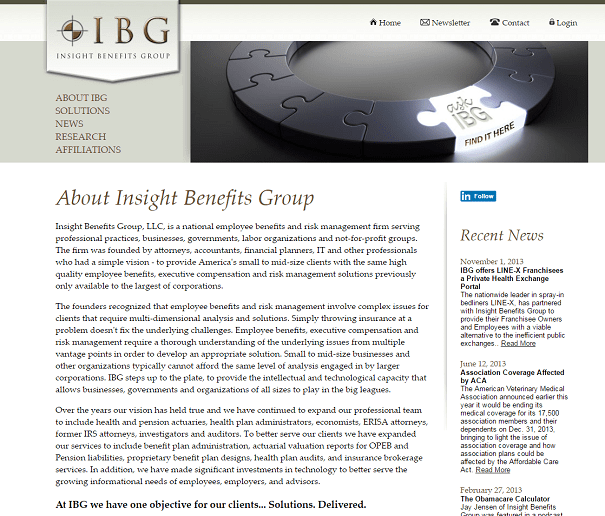 This website, for a national employee benefits and risk management firm, provides information about their various product and service offerings. It also provides a secure portal login for advisors. Once authenticated, advisors can access materials and online quoting tools specific to their benefit plans. New plan advisors can also register directly on this website. Newsletter enrollments are also integrated directly into this website. This website, for a premiere chef driven restaurant group in Chicago, provides information about various insurance and benefit programs available to their employees. 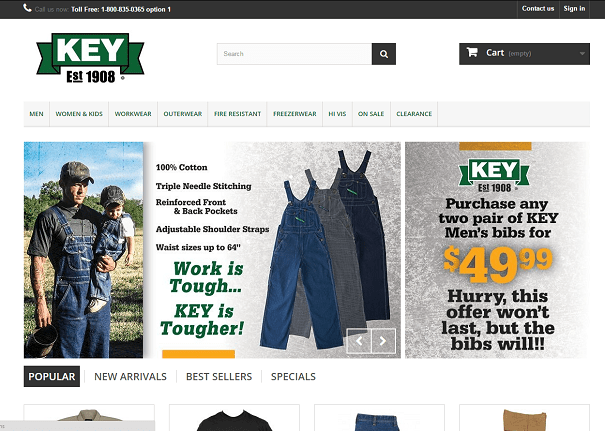 The website demonstrates responsive design techniques, embedded video, and integration with 3rd party quoting engines. It also provides a secure login for employees who, once authenticated, are provided with a step by step process for enrolling in various benefits programs. The secured web application demonstrates an advanced multi-step data collection process with dynamic presentation of fields based on previous entries, a robust rating engine, summary calculations, dashboard and reporting, and an admin function for maintaining user accounts. 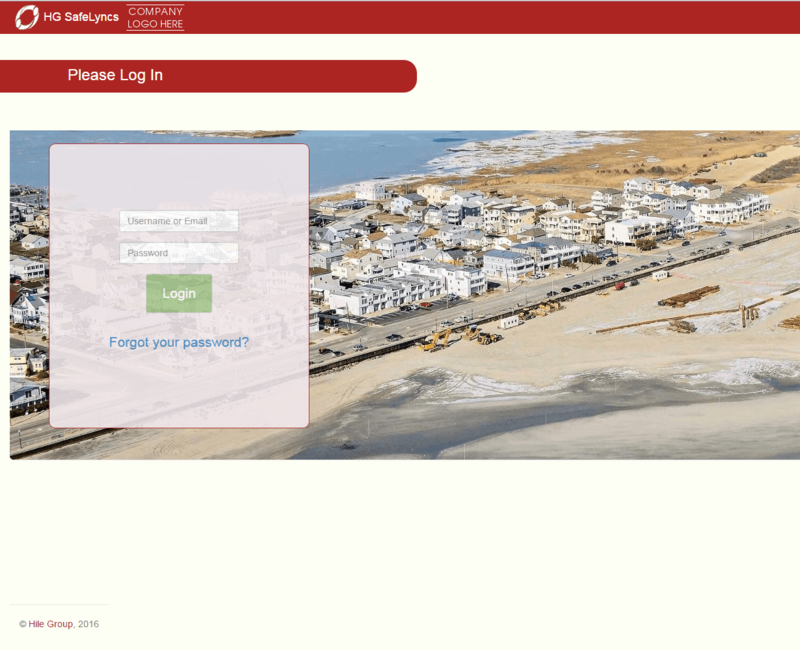 The website also serves as a SAML SSO Identity Provider to allow employees to access secured portals for additional benefit providers without having to re-authenticate themselves. The solution was developed using PHP, Bootstrap and MySQL. 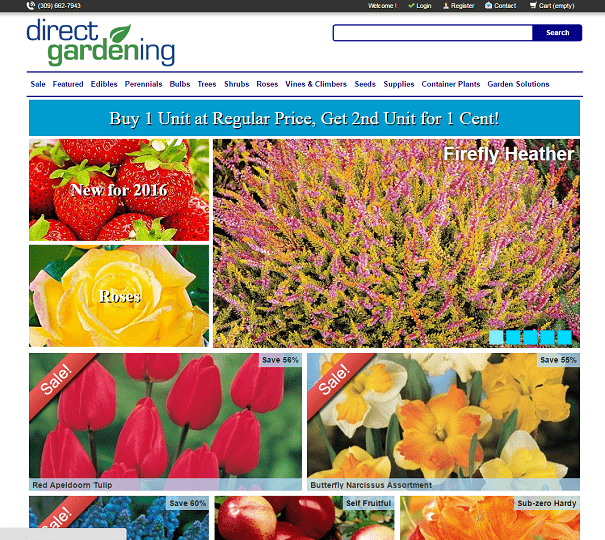 This website, for a national gardening retailer, provides full function e-commerce capabilities including advanced product searching and filtering, dynamic product and data display, secure checkout, customer account management, newsletter subscription, product maintenance, order transfer to an external line of business application, and email integration. This website has received over 2 million visitors this past year and demonstrates our responsive web design, application design and development, database design and development, and server administration capabilities. This website, for a national work wear manufacturer, provides full function e-commerce capabilities including advanced product searching and filtering, dynamic product and data display, secure checkout, customer account management, product maintenance, and email integration. It also features several integrations with an ERP system to transfer order information and shipping status details and synchronize inventory levels. 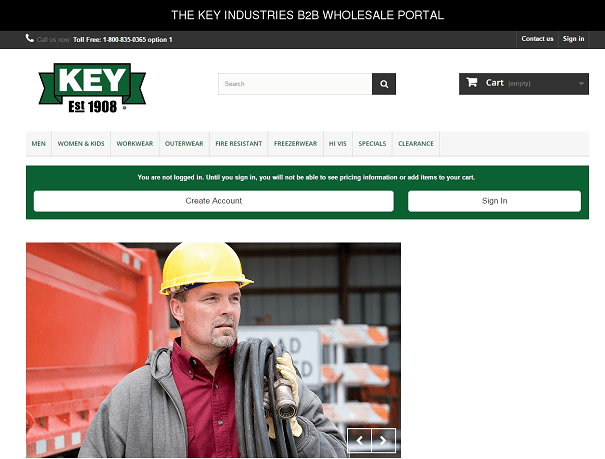 The website also provides B2B functions that allow various wholesale buying groups to submit large purchase orders at various price points and shipping levels. This website demonstrates our responsive web design, application and database design and development, data integration, advanced B2B feature development, and server administration capabilities. 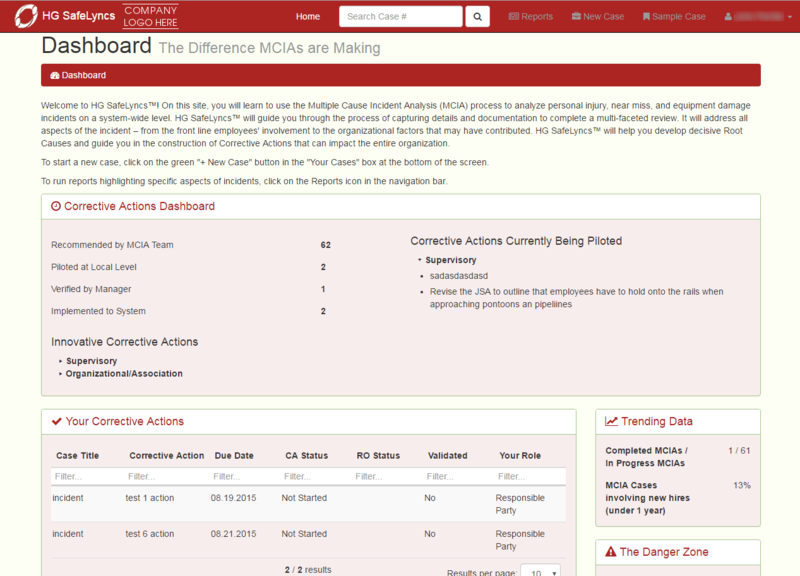 This web application allows corporations to use the Multiple Cause Incident Analysis (MCIA) process to analyze personal injury, near miss, and equipment damage incidents on a system-wide level. The application provides role based security and advanced data entry, lookup, and validation features. The user interface is fully responsive to support mobile and desktop platforms and includes custom developed file upload, list and grid controls and drag and drop white boarding features. A comprehensive system administration allows for user account creation and maintenance of all related system tables. 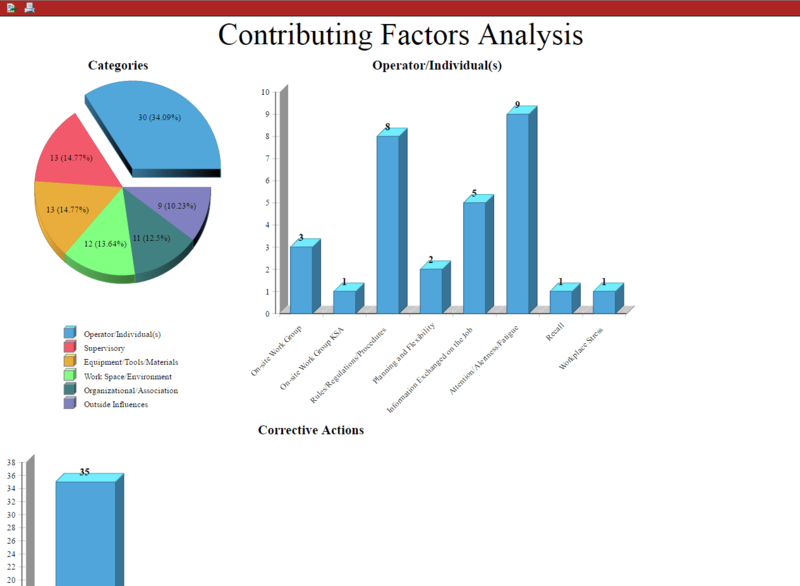 A full featured reporting system allows for printing case logs as formatted PDF files, generating aggregate reports featuring three dimensional charts with drilldown capabilities, and the ability to export case details to Excel for further analysis. The solution was developed using PHP, Bootstrap and MySQL, and the Eclipse Business Intelligence and Report Tools (BIRT). 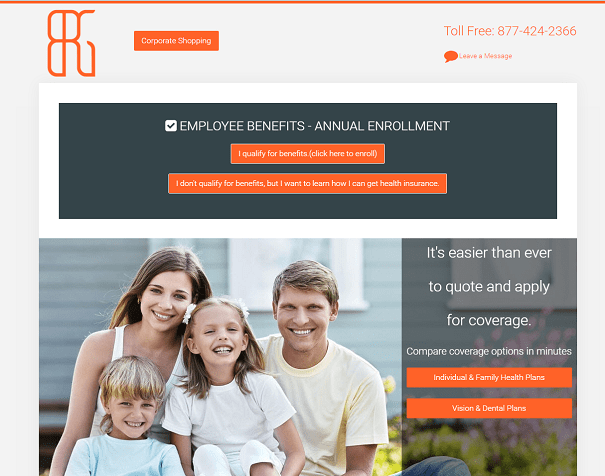 This responsive web portal, for a regional non-profit organization, provides information and collaboration workspaces for clients, providers, and staff. The site features role based security and includes a document library with advanced file upload, download and workflow features. 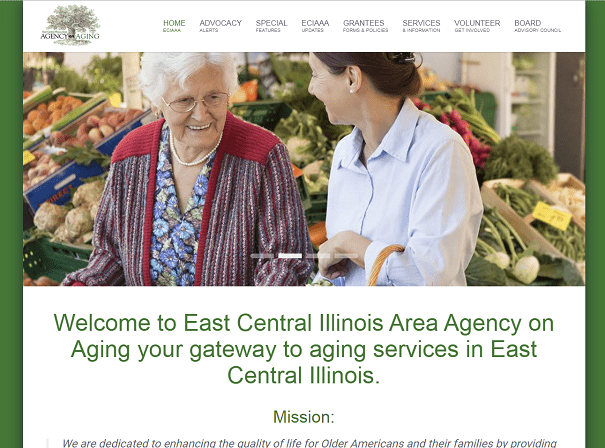 White Oak Technology Group also developed and maintains the Client and Fiscal Tracker web applications for ECIAAA which provide data collection and advanced reporting and workflow capabilities for approximately 30 service agencies in Central Illinois. We provide operational support to both ECIAAA and their service providers directly depending on the nature of the request. The web portal solution was developed using PHP, Bootstrap, and MySQL. The Client and Fiscal Tracker applications were developed in C#, ASP.NET, MS SQL Server and MSSQL Server Reporting Services. 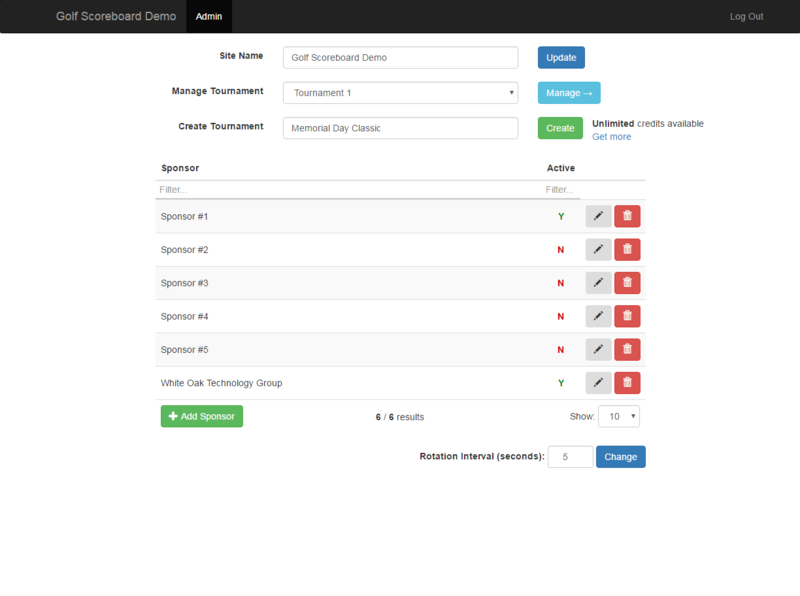 The responsive web application, for use by golf courses and golf pros, provides tournament creation and scoring features. 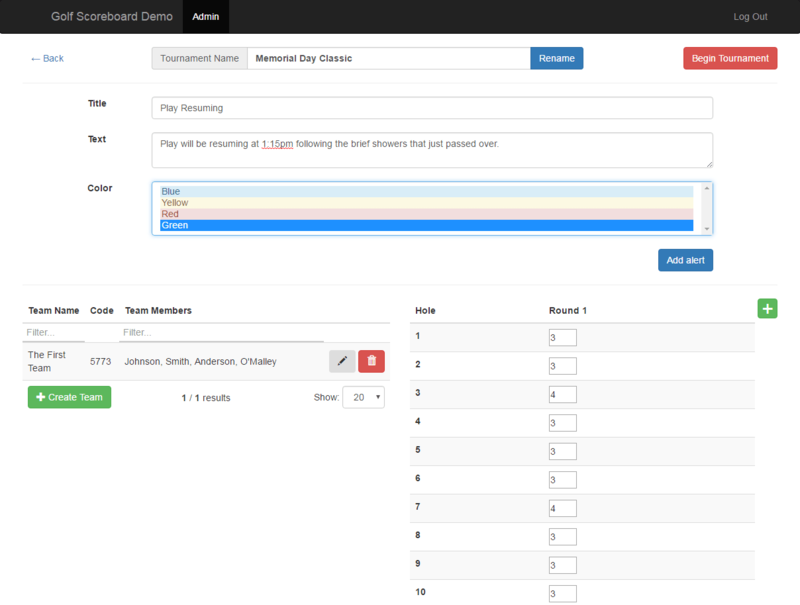 An advanced admin function allows users to define tournaments, add team registrations, and create advertising banners for tournament sponsors. During the tournament, individual teams can enter their own scores via the associated mobile application available for iOS and Android devices. 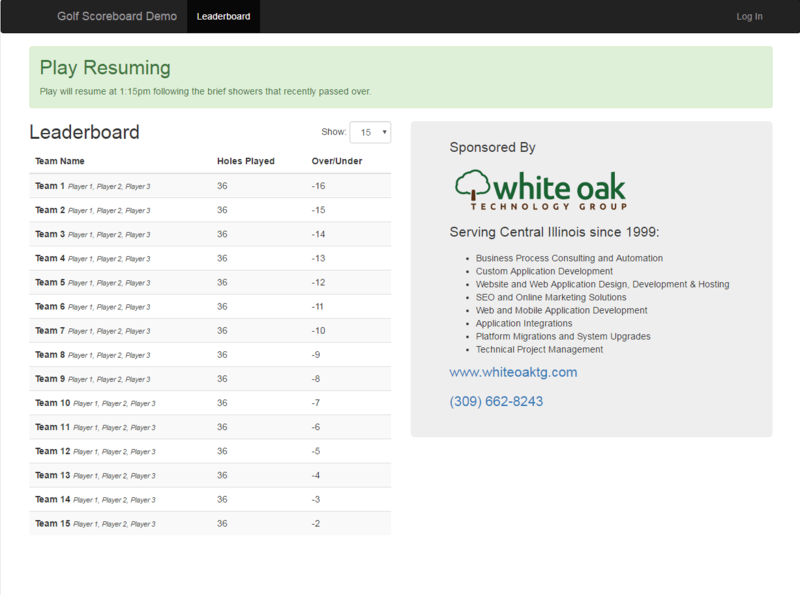 The leader board shows all team scores along with rotating advertisements and special messages created by the tournament administrator. An integrated licensing feature allows the application to be used for a fixed or unlimited number of tournaments. The web portal solution was developed using PHP, Bootstrap, and MySQL.